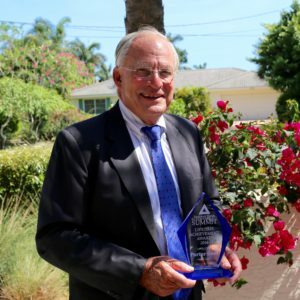 Former Congressman and CIA Director Porter Goss received the inaugural Lifetime Achievement Award. The Goss family has made a strong commitment putting community first in Southwest Florida. Porter Goss invested his life in demonstrating this commitment to making southwest Florida a better place to live, work, and raise a family through public service. 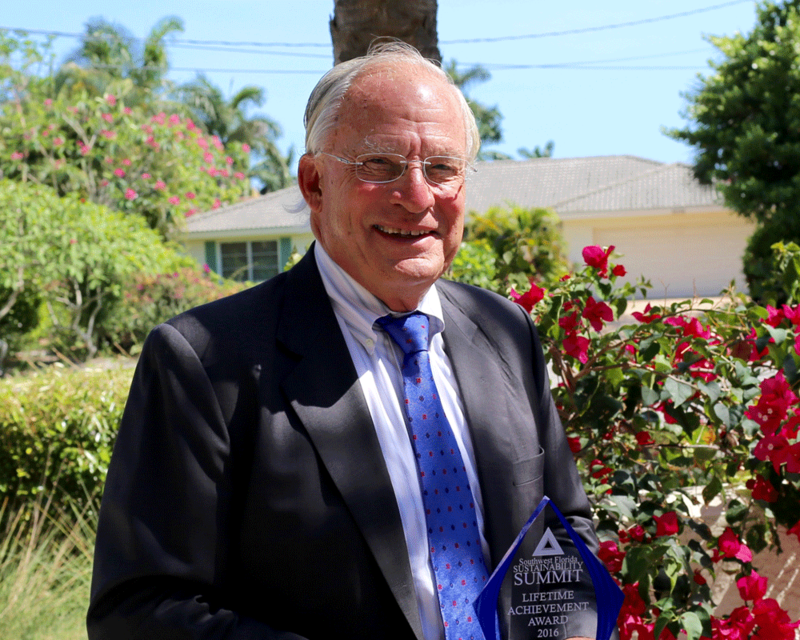 Nominated by Sanibel Mayor Kevin Ruane, Porter Goss has demonstrated a lifetime commitment to improving our Quality of Life in Southwest Florida. Gulf Elementary 5th Graders competed in an inaugural “SWFL Fifth Graders Sustainability Competition” hosted by former Tampa Bay Buccaneer running back Earnest Graham. WeVets and SWFL Sustainability announced the “Major General James L. Dozier” Award for Veteran Support. This award will recognize one outstanding nonprofit and one for-profit business who has proven their commitment to veterans ranging from support programs, scholarships, to employment. We are proud to announce that General Jim Dozier, a local hero, will chair the review committee made up of community and business leaders. Two Newts Gallery & Pamela Volz won the People’s Choice “Best in Show” Award in the Sustainable Art Show. Voters awarded Ken Alexander 1st place, Eric Riemenschneider, 2nd, and Erma Jean Woodis, 3rd. The Summit featured a new and exciting Electric Car Show with a Tesla Model S inside the gallery of the hotel, accompanied by an electric vehicle from Florida Power & Light. 2nd Annual SWFL Florida Sustainability Summit took place on April 28, 2016 with over 275 registered business and community leaders in attendance.